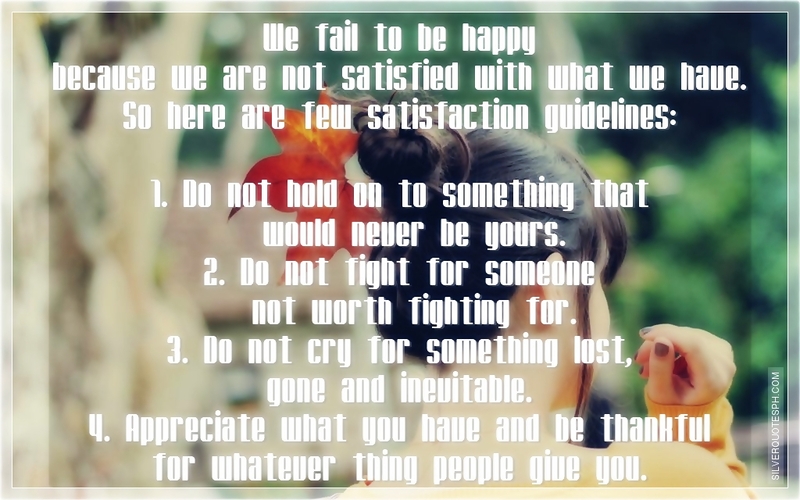 We fail to be happy because we are not satisfied with what we have. 1. Do not hold on to something that would never be yours. 2. Do not fight for someone not worth fighting for. 3. Do not cry for something lost, gone and inevitable. 4. Appreciate what you have and be thankful for whatever thing people give you.